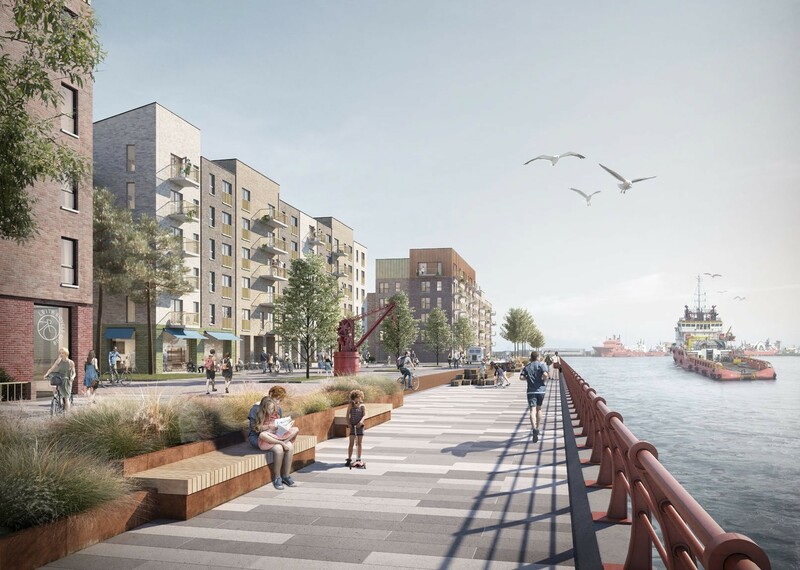 Edinburgh City Council has given its consent to a revised design framework for 1,600 homes at Western Harbour in Leith. 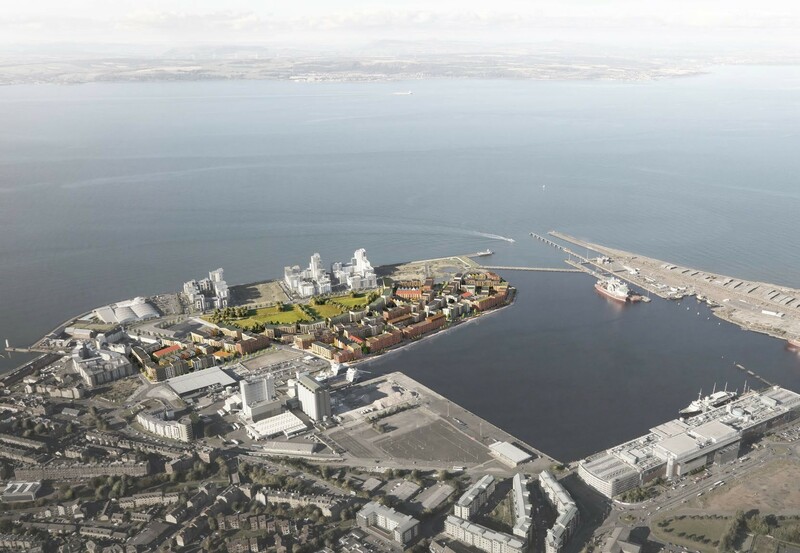 Their backing clears the way for Forth Ports to deliver a masterplan prepared by RankinFraser and 7N Architects which will also include a park, primary school, shops and waterfront promenade. 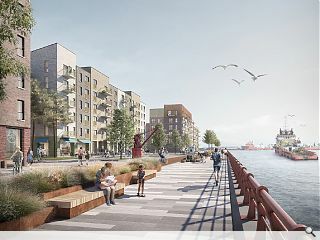 Charles Hammond, Forth Ports group chief executive, said: “Forth Ports and Rettie & Co. have been working together for over two years on these proposals that will result in the delivery of a community of 1600 mid-market rental home and park which should also create the setting for the new primary school for the area. 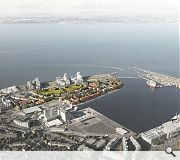 Construction is expected to get underway by late 2019 with occupation of the first properties anticipated by 2020/21. FFS why are the buildings so blocky and anonymous looking. You would think a 'design'' framework would promote a more positive and animated strategy. The layout feels fairly standard too...just the same old urban perimeter block, bit of extra height on the corner, massive foreheaded parapet roof and a wee bit of variation on the brick finish. Bish- Bash- Bosh. I just hope the designs don't all get diluted to guffery by developers, as happened with 'Platinum Point' and 'The Pinnacle'. If sea levels rise as they are expected to, the ground floor of these “apartments” will be underwater more than they will be dry! Brave people buying a flat out yonder!